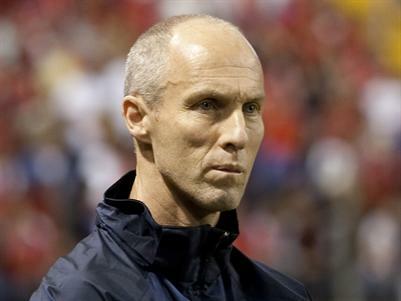 More updates on the United States Men&apos;s National Team picture as coach Bob Bradley named his preliminary 30-man roster for the World Cup, which is one month away! Not many surprises on this roster, and its is a very strong group that should be formidable in South Africa. The team is highlighted by experienced veterans Landon Donovan, Tim Howard, and Captain Carlos Bocanegra. From this list of 30, 23 of those will be chosen for the final roster that will travel to South Africa to compete against the likes of England, Algeria, and Slovenia in Group C. The 30 players will arrive in Princeton, N.J., on May 15 for the start of training camp. Here is the full roster below. As you can see its been a big week for soccer in the US, as with the announcement of the World Cup lineup and the USA Bid Committee handing over the officially Bid to FIFA later on this week! As we approach the World Cup, its only gonna get better, so stay tuned for any and on updates we&apos;ll have for you on Tampa Bay area events related to the games! Also be sure to head over to www.VisitTampaBay.com/WorldCup, or www.GoUSABid.com/TampaBay, and sign the petition to show your support for Tampa Bay and the USA for the year 2018 or 2022! Stay tuned in for more World Cup related things to do in Tampa Bay, and be sure to watch out for our blog tomorrow as we announce the prizes for Friday&apos;s Virtual Tweetup giveaways!! !